Media engineers subtle ways in which gender bias can persist in society and ensures the perpetuation of women subjugation in the society. In this chapterI want to excavate the various factors which contributes to the augmentation of gender biases by the media and how the media in developing countries strengthens the cause patriarchy masquerading in the façade of preserving traditions and customs? I also intend to unravel how perennial problems like illiteracy and abject poverty further dents the projectof women empowerment and how deeply entrenched patriarchal values manipulate the media to withhold emancipation in true sense. How women even after being qualified suffers from several negative effects undermining her own status? It will also be interesting to delve into the ways in which gendered media is far more subversive and ubiquitous in the developing world than developed world. And lastly how the gender bias in media can be curbed in the light of social and political awakening in women in particular and the development of humaningenuity and consciousness in general. In the era of globalization, media has emerged as the most powerful medium of communication with an unimaginable capacity to galvanize, shape and influence public opinion. The accentuation of a globalized era facilitated free flow of ideas, perspectives and opinion which made the role of media all the more vital. The media today plays a preponderant role in shaping and molding our outlook which has a great impact in our daily life and its impossible to repudiate the colossal authority that media exercises today. Media eventually became an indispensable element of our life and emerged as the most pertinent link between the world and the people. As far as the role of media is concerned, there are two aspects that we must keep in mind. Firstly, media has a traditional role of reporting news reports objectively and presenting facts before the people so that they can judge the veracity of those facts by themselves. Secondly, we deal with media role of dissecting, analyzing and assessing an issue and this is how it plays a pivotal role in nurturing, shaping and galvanizing public opinion and reorienting ideas of people. Media thus has the potential not only influence but can also reconstruct and dominate the mindset of a society as a whole. In developing countries, mass media manages to use gender stereotypes to induce or appease consumer. Media acts as a mirror to the society and reflects what a society desire to see. Media and gender projections have become one of the most debatable and vexed issue which needs a close and nuanced perusal. Gender stereotypes and its perpetuation has become one of the most intractable hurdle in the path of women empowerment. Gender bias against women has perennially plagued the project of women emancipation in the true sense in our society. The all-pervasive patriarchal mindset triumphantly dominates the common sense of the society. Despite all the high octane sermons on gender equality, women empowerment has largely been a mere symbolic gesture. In this context, it is important to delve into the two types Of equality which persists in the academic discourses. Firstly, gender equality is largely a phenomenon of “formal equality”. 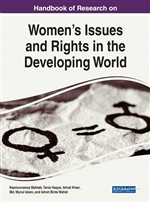 Nivedita Menon (1999) explains that the “formal equality” is the form of gender equality which persists in the society as a mere formality without any practical implementation. For instance, the Convention on the Elimination of all Forms of Discrimination Against Women (CEDAW) is an international treaty adopted in 1979 by the United Nations General Assembly which guarantees the well being of women worldwide. Further, the political and judicial institutions of most of the countries assure adequate safeguards against the vilification of women and so walks an extra mile by underlining equal rights and privileges for women. But the biggest regret remains that the formal equality as the name suggests is confined to the tenets of tokenism which is utopian and lacks practical implementation. This gives rise to “substantive equality” which implies real equality which embodies a qualitative and tangible change in the condition of women in the society which enables them to enjoy equality in the true sense of the term. While formal equality is readily available for superficial assurances of gender equality, it is the lack if substantive equality which remains a matter of great concern. The well entrenched shackles of patriarchy and male chauvinism impedes the fructification of “substantive” gender equality.